Zebra’s companions series scanners, CS4070 and CS3000, are the easiest and more effective way to add enterprise-class scanning to any mobile device. If your workers are using tablets, laptops and smartphones, they all share a common challenge with the consumer-grade camera used to capture barcodes making scanning slow, uncomfortable and impossible unless the barcode is perfect. With Zebra’s companion series you can assure every barcode is scanned with the first effort for improved workforce efficiency. In today’s ever mobile work environments, many business are looking for ways to enable their workforce without hindering them with fixed stations or heavy, clunky mobile devices. A common trend today is using existing iOS or Android devices paired with rugged cases and for enhanced data capture capabilities, a cordless barcode scanner. There are a wide range of cordless scanners to choose from but few have been designed with smartphone compatibility specifically in mind. Zebra’s CS4070 is the perfect solution for any application looking to add enterprise-level scanning to any smartphone or tablet. The wireless Bluetooth CS4070 Companion Scanner provides the reliable scanning and ergonomics that are missing in your tablets, laptops, smartphones and other devices that are not designed with intensive barcode scanning in mind. This affordable pocket-sized device offers advanced barcode scanning that’s able to capture virtually any barcode, in any condition, in the time it takes to press the trigger, even if it is damaged, dirty or scratched. And the natural feel delivers comfortable no-fatigue scanning, no matter how many times a day your workers need to scan. For assistance finding the right Zebra scanner for your specific needs, contact us at Barcodes, Inc. 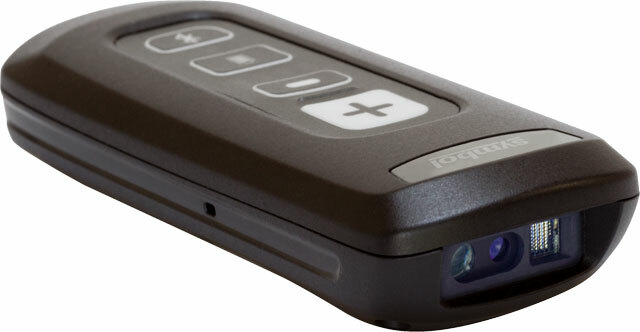 Whether your workers are in retail or field service, field sales or transportation and logistics, the new features in the Zebra CS4070 make it easier than ever to scan, with a hassle-free constant Bluetooth connection to laptops and tablets, plus the ability to format your data, your way, to meet any application requirement. The CS4070 is the perfect companion scanner solution to seamlessly integrate with virtually any line of business application.